Learn a simple yet powerful technique of meditation as originally taught by Paramhansa Yogananda, author of Autobiography of a Yogi. 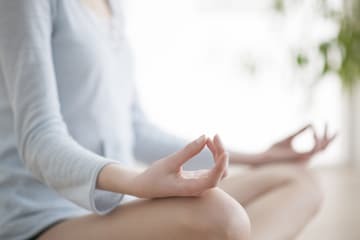 Meditation not only reduces stress and improves physical and emotional well-being, it can help you be more focused and calm regardless of outer conditions. You will receive in-depth instruction to help you create and maintain a consistent meditation practice. These techniques are scientific in their approach, and can bring more peace, deeper relaxation, and focused concentration to every area of your life. 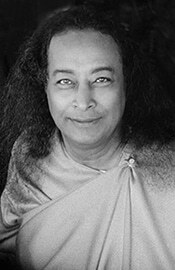 In addition to learning meditation, you will also learn Paramhansa Yogananda’s “Energization Exercises” which are his unique contribution to the science of Yoga. 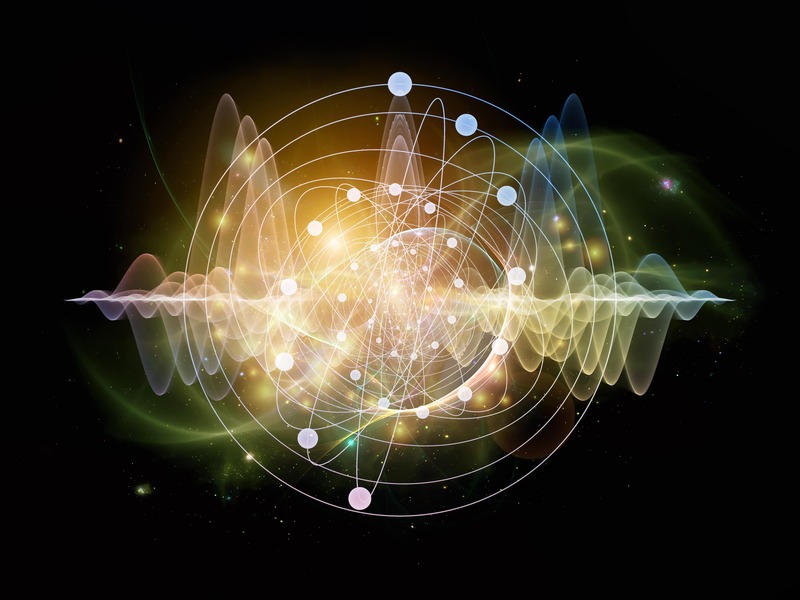 The Energization Exercises are designed to provide the practitioner with better health, more energy, and an ability to direct the energy in the body at will. Mastering them can be a powerful tool for deeper, longer meditation. This course is open to anyone who wishes to learn to meditate, regardless of religious or spiritual background. Whether or not you are new to meditation, these lessons will help you establish and develop a deep and consistent practice. With persistence, you will awaken your true nature: a pure reflection of divine peace, joy, and love. In-depth instruction to help you create and maintain a consistent meditation practice. Downloadable audio learning tracks (mp3). Weekly, live guided meditations and discussions online. Two additional live question & answer webinars. Interactive forums for discussion with fellow students and instructors. **The guided meditations and discussions are every Friday at 12:00 noon Pacific Time* and on the 1st and 3rd Tuesday of each month at 6:00 pm Pacific Time. * We also offer 2 additional webinars: Opening Orientation Webinar on course start date and a Next Steps Webinar on the final week of the course. We will post exact dates and times on the course page. **All webinars will be recorded and available for later viewing. You will find extraordinary benefits from practicing the lessons in this course. Physically, you will experience increasing vitality, flexibility, and strength. Mentally you will be able to work with more clarity and concentration. Your emotions also will benefit: you will become more even-minded, learn to overcome negative moods, and develop attitudes which bring true happiness and well-being. You will rediscover a sense of peace and harmony with the world around you, and your capacity to give and receive love will expand until it embraces all places and every living thing. You will have nine full weeks to complete the seven lessons outlined in the course. A new lesson will be opened each week. Each lesson contains a short introduction video, a reading assignment, a recommended daily practice for that week, a digital video by Swami Kriyananda, and an audio learning track. Once a lesson becomes available, the content of that lesson is accessible 24/7 for the remainder of the course. Students are also invited to participate in weekly, live guided meditations and discussions online. All of the live classes are recorded for those unable to attend live. In addition, each lesson contains a quiz, which allows for further interaction with the course instructors. 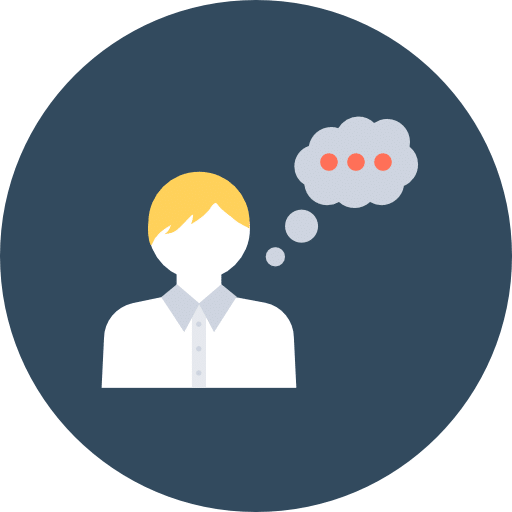 For a more dynamic learning experience, we encourage students to interact with instructors and fellow students through the forums where one can ask questions and start discussions. The recommended pace for students is to complete one lesson per week, which typically requires 1 to 1 1/2 hours a day including the daily mediation routine. I have been meditating for the past 5 years on and off. I am so happy that I took this course. It gave me a deeper understanding of meditation and also taught me techniques to help me go deeper. I now look forward to meditating everyday. The instructors were super friendly and extremely helpful as well. I feel like I have become a part of a new family. I enjoyed this course and went from meditating sporadically to meditating daily. than many other online courses I’ve taken, which cost twice as much. and the exercises to do each week were clearly delineated. manner. Being able to download the .pdf’s and .mp3’s was very convenient. with the next in the series. My sincere thanks to the teachers! This class has been such an awesome experience for me…..it has changed my life in many ways. I am so grateful to all of our wonderful instructors. 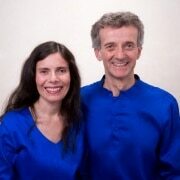 I plan to continue on with Ananda on line as a member and with some of the other classes. Thank you all so much!! You are all such a blessing! The course has a clear progression so the learning is manageable and straight forward. The learning material is good with some inspiring videos and audio talks. The practices are clear and very helpful. The teachers are caring and warm, certainly a good advocate for the quality of Kriya Yoga. Overall a quality course, now it is up to me to make sure that I bring what I have learned into my everyday life. I am so grateful that I took this course. It has really step changed my meditation. I have learnt a lot that’s useful and it has really helped me to deepen my connection. The pace of the course as well as the guidance of the teachers is really supportive to learning and internalising as you go. My life has been enriched through the practices taught in this course and through the caring support of the instructors. 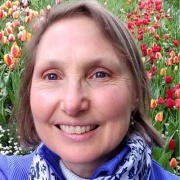 I enjoyed the varied sources of information (readings, webinars, guided meditations, recordings) and being personally connected to a community of like-minded people. The guidance of Swami Kriyananda, through his audio and video recordings, brought depth and richness to the study of these practices. I will carry these lessons forward into my daily practice of yoga. I thoroughly enjoyed this course on the first step towards Kriya Yoga. Many and almost all of the teachings of this course I have included in my daily practice. Especially the breathing techniques have improved my sense of calm. Life throws so many challenges at us and we are overwhelmed by those challenges. Meditation has helped me cope with those challenges to a great extent. I have realized that meditation must be practiced every day for it to be effective. I thank the team at Online with Ananda and wish you good luck in the future. Even though I had been meditating for several years before attending this course; the methods, techniques, and inspiration shared by the instructors have helped me immensely. Where my practice was sporadic, it is now consistent. Where it was at times a struggle to relax and go deep, it is now nearly effortless. Where my meditation once provide only a fleeting calmness in my life, it now pervades my days. Many great gifts were conveyed during these teachings and I feel blessed to have been included. I am so happy that I joined this course. I am meditating for more than two years now but meditating without proper learning the process is like trying to read books without learning abc. After doing this cource, I am enjoying the meditation for longer period of time. I can spend time alone and feel happy most of the time. I enjoyed the course and getting guidance from the teachers inspired me to follow this path. Thank you all for your feedbacks and guidance. Namaste. Really nice looking website. There’s all kinds of free content on the Ananda Meditation app. 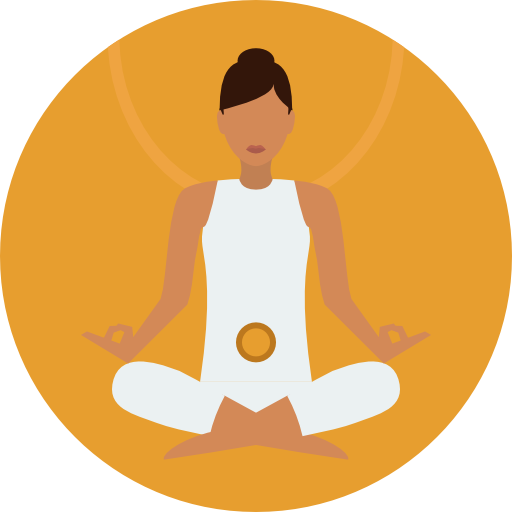 Lessons In Meditation is great for getting full instructions on the techniques in the Ananda Meditation app. Enjoyed the lessons and liked the format of presentation. I have taken my meditation to the next level. The teachers are very helpful. namaste. I did TM for 35 years and believe Kriya Yoga is the next step up! This first course on the Path of Kriya Yoga was beyond my highest expectations! A journey begins….when the time is right. Want to thank the team for their dedication in guiding the students step by step. It is overwhelming living in NYC but everyday is spent in gratitude and love for God – getting a step closer. I’d been practicing meditation for about a year before finding the teachings of Paramhansa Yogananda through Swami Kriyananda. I knew instantly that whatever Swamiji and Ananda had to offer was what I’d been searching for my entire life. I can honestly say that Ananda and this course are a gift from God. Never have I been so inspired by such teachings, or experienced such love from the teachers in the online course. I couldn’t be more pleased with this online course in meditation. 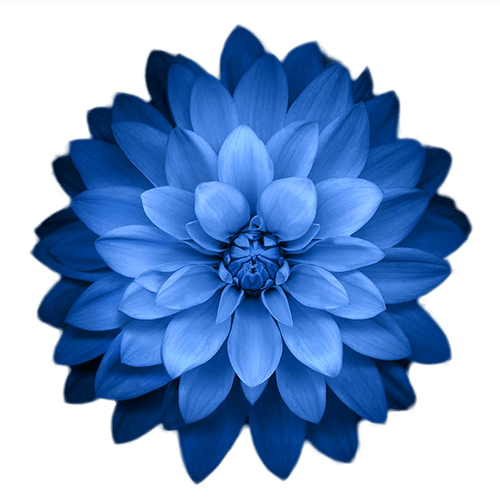 The source materials, videos, webinars, weekly guided meditations and, wonderful instructors all add up to a really in depth and highly informative introduction to meditation. The videos with Swami Kriyananda , in and of themselves, are a real treasure. The instructors are invaluable as well. Real people really living the path as Paramahansa Yogananda presented it. I couldn’t ask for more and feel greatly blessed that this opportunity to learn and grow spiritually exists. I have been a student of Self-Realization for four years. I took this course to recap and make sure all was done properly. Thank you. I have enjoyed and found it very good to refresh all the things I learned from this four year journey. Everything I have learned has been useful in every aspect of my life in this world. I found this late in life and feel the changes have made me more aware of my surroundings and others feelings and emotions. I feel blessed to have found this beautiful spiritual journey. I give this course 5 stars. The instructors have been so caring and supportive of my learning. The meditation course has been better than I ever dreamed it would be. Stumbling upon Ananda and the Kriya Yoga path has been a true blessing to me. I am joyful about finding the community online and so grateful to all of its members who have touched my life thus far. Namaste. I am so grateful and blessed to have taken this course on meditation and self-realization. Even though I had the book for about a year and went through it several times, this online course really helped to clarify and enhance my practice of meditation. The instructors were very caring and helpful and all the added videos and live events and writings were truly inspiring. I plan to continue on my path of practicing Kriya Yoga and learning as much as I can and living it. Very professional course, with plenty of course materials and practical video tutorials. The tutors are quick in their response to our assignments, providing us with detailed comments and instructions where needed. Wonderful! There was so much more offered by this course than I ever expected. I am very thankful to all involved, and I am continuing onward to the next course! Wonderful! Beautiful spirits enlightening us in such a unique and soul-enriching, soul-pleasing way. Thank you for the awesome experience. I am continuing onward and will take the teacher course this spring to share this wonderful work with my local community. Many blessings to you. Namaste! 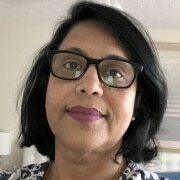 This course is a really thorough experience, not only offering an incredible wealth of techniques, ideas and explanations in the forms of text, video and life events. It is also something that you can rarely find: The creation of a real community, where participants help and inspire each other. I was especially surprised and pleased with the possibility to ask questions anytime, the teachers being supportive, friendly and very knowledgeable. All of this is invaluable and goes far beyond anything that the word “course” would describe adequately. Thank you! This course is simply amazing with the quality of instruction that is given and the level of information that is conveyed by each of the teachers ! Each one of the teachers is extremely knowledgeable and very approachable . I highly recommend this course to anyone wanting to learn meditation and to seasoned meditators who want to develop new and worthwhile practice skills . Everything was top notch. You can tell the attention and care that the instructors put into this course. It is not only an online course but much more. It will deepen your understanding of meditation in a life applicable practice. It will offer you a community from all over the world who you will be able to relate to, kinder souls like yourself. You don’t feel alone in your spiritual journey. Some years before I started this course, I have had a good meditation-Practice, with Buddhist Vipassana meditation. But this I lost through private circumstances. As I started this course my main goal was, to find a way…. and to strengthen my less spiritual discipline. The books of Paramhansa Yoganananda inspired me. This course, the step 1 of the path, was maybe the most important step in my life. I could restore my discipline and could thanks the very motivating support and care of a friendly team find more inner peace. Now I’m strong motivated to go further. Thanks for the great help. What a blessing! It’s incredible to feel that from here in my little home in New Hampshire I feel completely embraced by and part of this global community of seekers. 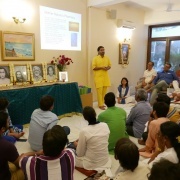 The world has become a smaller and friendlier place since joining this course and connecting with so many other precious drops in this vast ocean of oneness, with special gratitude to our teachers Sagar, Jitendra and Susan. I still have a busy mind and a long way to go (a path I can travel right here with all of you since I will be signing up for the next course in January) but I now feel I have a firm grounding in my practice, greatly increased equanimity, and expanded compassion for myself and others on this path (and for those not yet on it, or at least not consciously). I have a set of practices that have become familiar to me and that I trust will continue to deepen. Best of all, Paramahansa Yogananda comes increasingly present to me each day. I highly highly recommend this course. This is a wonderful course for spiritual seekers and meditators at all levels of skill and aspiration . First , it sets the framework for a strong daily practice involving meditation , visualization , prayer , affirmations , daily living and lifestyle . 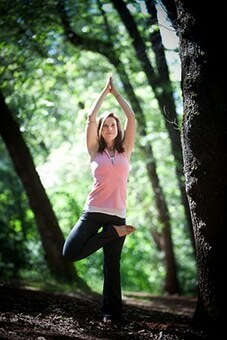 Much emphasis is placed on developing your Prana (life-force ) in a very positive manner . Topics such as personal magnetism , vibrations , positive affirmation and the power of prayer are all taught with enough detail to implement them in your daily life . The podcasts are of great value , extremely informative and inspiring . The Gurus teaching this course are very approachable and actually reach out to their students on their own initiative to assist them when needed . No matter what meditative or religious tradition someone is from , this is an amazing course that is taught by sincere and talented teachers . Thank you to all the Gurus involved with this course and at Ananda Sangha . You have been a great help ! I really enjoyed this course. The coursework was easy to follow and the instructors were genuine. Thank you for all your inspiration and kind words. I can’t wait for the next course. I may have attended an “online” course, but it felt anything but. The level of care and support extended by the instructors makes you feel as though you are a part of an extended family who genuinely care about your spiritual growth and well being. Despite the immense wisdom and experience shared among the people teaching this course, there was never a moment of superiority or ego displayed by these model citizens for humanity. I was encouraged to fully engage in the course but the method of encouragement resulted in greater enthusiasm rather than a feeling of obligation. The content was very clear and the course was structured in a way where the teachings built up each other without every feeling overwhelming. There was 100% support from the fully present instructors every step of the way. The readings, audio, video and tools such as the ananda app provide your with a solid foundation to work with. I live close to one of the centers and visited ananda twice for 2 days each visit during the duration of the course, which enhanced the experience and what I was able to get out of the program. This is so much more that just a “lesson in meditation”, it’s a framework clearly laid out that shows you how to begin a clear, happy, functional and productive life. The residents and Ananda and instructors are living proof that what they are doing actually works. They really walk the walk. The joy and peace that they radiate are what I can strive towards achieving through this program and I am so grateful to have these roles models who can help me navigate out of the disfunction into a state of bliss. I was in a state of total distress when I began this course and the progress I have made in terms of my ability to connect with the infinite, with myself, and with my path has given me a sense of security and confidence I have never before experienced. The freedom of being open and honest about my experiences with the teachers and receiving loving and supportive feedback was monumental. Thank you very much. I have been meditating for some years, learning from various schools. i was at Barbados till 15th of October,2018. I was passing through a torrid time due to the financial scandal and misdemeanour of the CEO of the university. I did my best for the students of the medical school and then came back to Hyderabad, following a circuitous route. i was down financially as well. Somehow, i know that I will be able to come through the ordeal. After reaching home, I was laid up with viral fever. Being a physician and teacher, i have served my best to the downtrodden people and thus , even at the age of 72 yrs, I am not financially sound. i have been going through this meditation course. it has definitely fortified my will power . i am still passing through stormy time. I hope that, what I learnt from this course will definitely help me in attaining salvation and joy for ever. I wish to learn further. This course has meant so much to me. I have always loved God, but had no one to teach me, though I have sought wisdom. The teachers in this course or so loving and their very faces reflect knowledge of the divine. Also the course is very well designed, so that one can grow at a pace that works with a busy lifestyle. Words are inadequate for expressing my gratitude for instruction received. Joy for life is definitely much greater for me than before taking the course. My life is enriched with meditation. It is wondrous how one can connect on so many levels through virtual contact. I am inspired by the engaged and thoughtful responses to questions, discussions and comments by the instructors and by fellow classmates. I look forward to continuing my path to kriya. I loved this course ! It’s in the same time practical, theoretical and motivational, It goes to the essence by giving you simple but very efficient tools to connect with your inner self. I also loved the guidance from the teachers. Thanks a lot for all this wisdom, love and joy ! I felt a magnetic pull to this course whilst revisiting Yogananda’s Autobiography of a Yogi and despite a decade of established meditation practice I just knew I had to sign up. Over the years meditation has gifted me inner peace through unifying the Father God and Divine polarities of both my inner and outer worlds and the techniques, support and guidance provided with Lessons in Meditation has deepened and enriched my journey in ways I’d only previously dreamed of! Feeling deeply grateful. If you are looking to discipline yourself on the subject of meditation, this is the course you should take. It is precise, concise and to the point, besides reminding you of basic themes to have a true spiritual advance, – emergency for everyone in this life. After this course, I have the tools to continue on the path of meditation and internalization. Infinite thanks. It changed my life. I added in unexplainable words to the journey I was in. The desire is even more now. Blessings and Gratitude to Divine Mother and Ananda! This course exceeded my expectations in every way! I was a little uncertain about the “coldness” of an online environment and also due to a big time difference whether I would feel a part of the community, but the recordings of live sessions made that possible with nothing lost. Yoganada’s warmth was (and is) ever-present. The structure was very beneficial in helping me maintain a regular practice, and the techniques are ones I will be using the rest of my life. I’m very grateful. I had a good number of watershed moments during my weeks studying Lessons in Meditation. The course offered a wonderful variety of video, audio and literary resources and offered plenty of interactive support from the instructors along with loads of extra resources. All my questions were handled promptly and thoroughly by the instructors, whom I found to extremely knowledgeable, friendly, courteous and genuinely caring. Highly recommended. 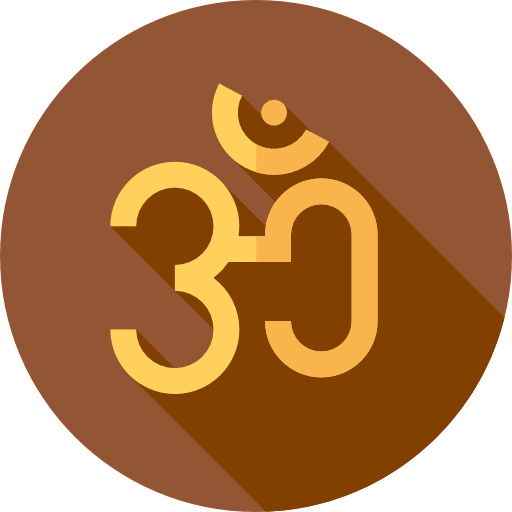 It is written that Kriya yoga techniques will rapidly accelerate spiritual development and encender a profound state of tranquility and God-communion. These words should not be taken lightly. I was curious to know how this could be possible. Take this course and your life will be profoundly changed regardless of your intentions for joining. This course has allowed me to take my meditation practice to the next level. Using the tools and techniques learned in this course, I am able to meditate longer and go deeper in my meditations. All the Instructors were wonderful and the weekly webinars complemented the lessons. I would highly recommend it for people learning how to meditate. An excellent course that has really helped me to make meditation a part of my daily life. The consistency of my practice that the course has helped me to cultivate has given me the benefit of a much greater sense of peace and calmness, not just while meditating, but throughout my daily living. The course is well-structured and the variety of educational material (reading, audio, video, live webinars) helped to keep me engaged. The instructors devotion to the spiritual path, and to their students, is very apparent, and greatly appreciated. I’ve learned a lot throughout this course. Before the course, I was just “meditating” passively whereas this course taught me meditation is actually a very active concentration. The live satsang were also a great addition to deepen the practice. This course brought more “life” into my life. I have learned about my relationship with God, others, and myself. Having to complete the weekly quizzes helped keep me accountable and follow through on meditation on the days I just didn’t want to. Allowing 9 weeks to complete the 7 week course was also beneficial. I didn’t think I’d need the extra time, as I am usually a driven student. I found that this material really required me to follow a different pace – more loving and subtle. The Satsang online was really helpful. Feedback was so valuable and encouraging. I also truly enjoyed reading from the other participants. There is so much knowledge and diversity. I was also humbled and grateful to learn there are so many others in this world truly seeking the Divine. Fantastic course with an abundance of resources. Due to time zone issues, participating in the ‘group’ online sessions was not possible – however these are all recorded and available to view (for when your time zone allows). Bumped into ‘issues’ when participating in the course, however these issues can be addressed and explored with the functionality of the website/tuition portal. My spiritual journey has evolved tremendously due to the guidance provided and I cannot highly recommend enough. So much so that I have already enrolled in Step 2, and await the next stone to place my feet upon. I think you’ll be hard pressed to find anything negative about this course. It’s simply a positive and uplifting environment to deepen (or start) your meditation practice. I had added feedback on various issues or questions I could come up with outside of the course, with suggestions on free resources to check out (like asking questions about back strengthening exercises and such). As some of the others have mentioned, I was unable to attend most of the live sessions due to time constraints but it’s all recorded for you and if you have questions you can talk to the instructors directly. I’ve always wanted to become more disciplined in following my spiritual path and this course has enabled me to do exactly that. The lessons were well-structured with more than enough supporting information like articles, videos, downloadable lessons and mp3s. The teachers were very responsive, kind, encouraging and inspiring, always trying to provide personalized guidance whenever possible in the kindest and gentlest of ways. And the teachings were very practical, even for beginners without being pedantic or preachy in any way. One can feel the sense of inclusion, love and sharing in this school of spiritualism. I have been searching for God all my life but still was wandering. I recently read The Physics of God, which I found fascinating and convincing so I did some research on Joseph Selbie . Among other things, I found his connection with Ananda . 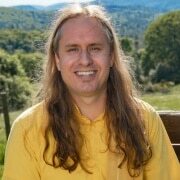 I brought up Ananda’s website and found that they would be starting a Course in Meditation. I signed up, and so happy I did. I tried meditation years ago but it did not become part of my life. Now, through this course and the instructors I feel that I have found what I have been looking for. I liked the way the course was structured and the support and caring of the teachers. I have noticed changes in the way I deal with various aspects of life and how much peace it has brought me. Thank you ! I was nudged to pursue the path of Kriya Yoga and was more motivated to take the meditation course, I am embarrassed to admit, by the fact that I had to, than by a deep desire to learn more about meditation itself. However, I am very grateful that it’s an obligatory course on the journey to learn the Kriya technique, because I have gained so much from it! 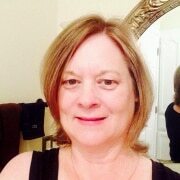 It is very useful and has taught me, not only a bunch of user-friendly, pleasant and pertinent meditation techniques that enhance my spiritual life, but it has also given me invaluable experiences and skills, such as discipline, an ability to instantly find Joy and it has helped bring a calmness to my life that wasn’t there before. I got way more than I ever expected to from this course and would suggest it to anybody who wishes to deepen their relationship with the Divine! Also, the people who teach it are so loving and are great at answering any questions and offering pertinent support all throughout the course! I felt their sincere love and desire to serve as our guides with these materials! I really enjoyed learning the principles & techniques within Lessons In Meditation. It gives a very complete experience for both beginner & seasoned people practicing meditation. The 3 instructors were very knowledgeable and prompt in replying to questions & emails. I loved the way the info was provided via PDFs, audios, videos & webinars. and opened my heart to new possibilities — truly a life-changing experience! It was awesome to get to know 70+ other Dear Souls on their journey back to Oneness! were both filled with Divine Wisdom & Uplifting Energy! to deepen your connection with your body, mind & soul. that will raise your energy level. health & your level of consciousness! After completion of all seven lessons and quizzes, you can receive your Certificate of Completion. Once the course ends, students no longer have access to it. You will have 9 full weeks to complete the 7 lessons. The recommended pace is one lesson per week, so there are two additional weeks as a cushion. Additionally, you are able to download all pdf and mp3 material. 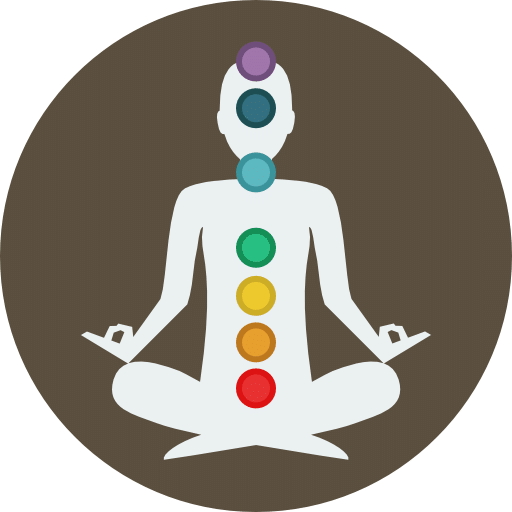 Once you complete Lessons in Meditation, you are eligible to enroll in the Lessons in Meditation Review course which will give you access to all course material for one year. The classes are not at any particular time of day. One lesson is opened up each week. The content is available 24/7. Each opened lesson will remain open for the duration of the course. The only thing that is at a particular time are the live events. When are the live events? The guided meditations and discussions are every Friday at 12:00 noon Pacific Time* and on the 1st and 3rd Tuesday of each month at 6:00 pm Pacific Time. * We also offer 2 additional webinars: Opening Orientation Webinar on course start date and a Next Steps Webinar on the final week of the course. We will post exact dates and times on the course page. I first found Ananda in Seattle, and was a part of the Seattle Sangha for over 30 years, living in our ashram, then in our urban community. I helped begin, and later managed East West Bookshop, as well as serving as a Lightbearer minister and teacher. In October 2017 I was asked to move to California and serve at the Ananda Meditation Retreat. It is a privilege to be here in this special place where Ananda began 50 years ago, and to share the transforming teachings of yoga, and the joy of meditation! I also love to sing in the choir, and experience God’s presence in nature. Brahmachari Sagar has served Ananda as a monk for almost seven years. 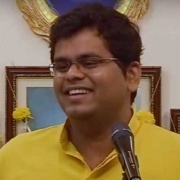 He serves as a key member of Ananda’s work in India and has helped on several fronts: as a member of Ananda’s Kriya Yoga community in Pune, as a teacher and counselor to students, and overseer for Ananda India’s Online Fundraising efforts. He also led Ananda’s work in Mumbai for about five years. 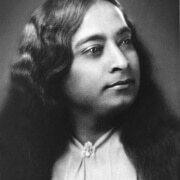 Born in a family of practicing kriya-yogis, Sagar read Paramhansa Yogananda’s Autobiography of a Yogi at a young age, an influence that waxed ever stronger as the years passed and culminated in his decision to dedicate his life to serving Yogananda’s mission. Sagar is currently visiting Ananda Village, California to know more about Ananda’s work here, and is always happy to learn new things as well as help share these teachings with truth-seekers everywhere.